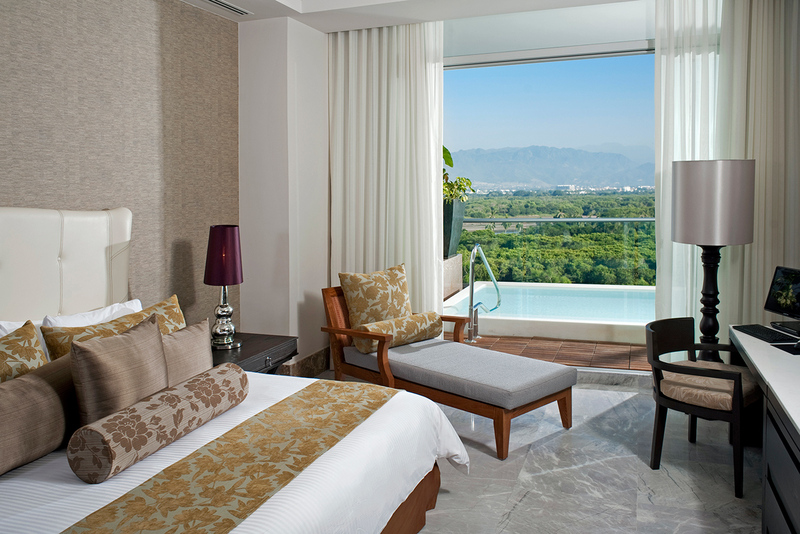 A Luxxe Suite room at the Grand Luxxe, Nuevo Vallarta. 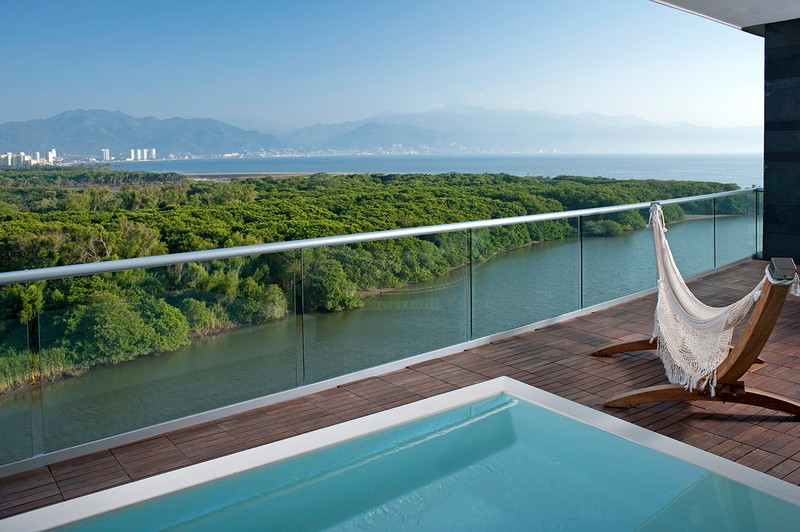 Views of Puerto Vallarta from the Grand Luxxe. An outdoor patio area at the Grand Luxxe. Views of the Nuevo Vallarta property and Grand Luxxe towers. One of many pools at the Grand Luxxe. 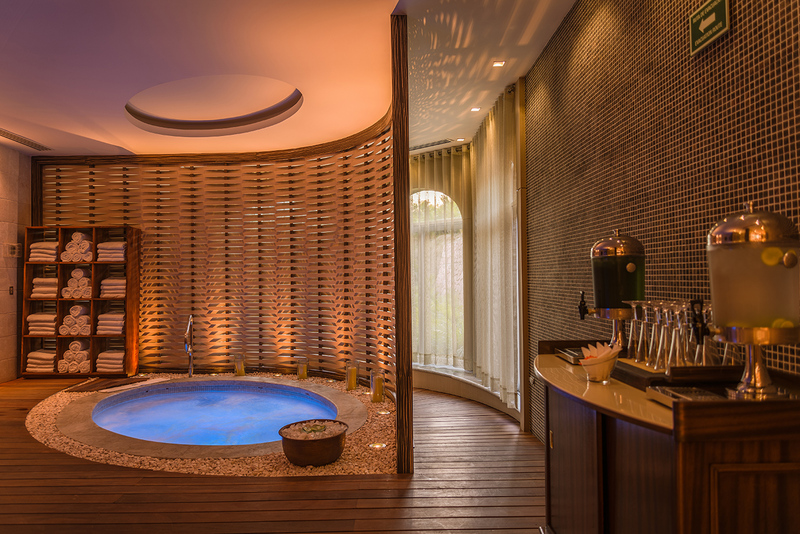 Spatium, a private spa for Grand Luxxe members. 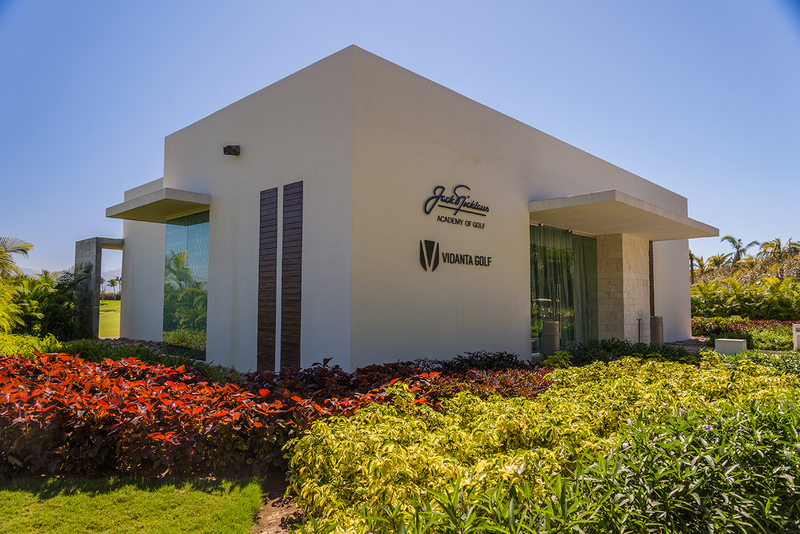 The Jack Nicklaus Golf Academy on the Nuevo Vallarta property. At one of Grupo Vidanta’s Nuevo Vallarta showrooms, a sprawling illustration of the grounds halts a group of potential buyers as they stare at the list of coming attractions. There’s a Greg Norman golf course, a designated equestrian centre, and the future home to an original Cirque du Soleil show—as if the lure of a coastal luxury resort in Mexico weren’t enough already. The additions will come as no surprise to those already familiar with the vacation resort private members’ clubs; the Oceanside property is currently made up of over 4,000 acres of developed land (and counting). Last year, Grupo Vidanta celebrated 40 years—a foundation that is based upon the promise of constant development. Members know to expect upgrades and inevitable construction—the improvements are a sign of the resort brand re-investing residency fees—but it may be the quietest construction (never) heard. That, or the sounds may just be muffled by the lush greenery planted throughout the property. From Puerto Vallarta International Airport, the drive to Nuevo Vallarta is short and sweet. Once through the secure gate of the resort grounds, a golf cart shuttle waits to whisk guests to their residences, passing under outlines of an overhead pedestrian boardwalk. Through the lobby doors of Grand Luxxe I, the cool air conditioning is a welcome treat and from the ocean view room, fireworks can been seen popping overhead. Daybreak brings a dewy humidity and hot sun. The grounds are teeming with pool after shining blue pool, and seasoned guests are smart to layer over swimwear and take breaks from the heat with a dip here and there. The walk out to the beach is an adventure in itself. Large lizards break out of the brush and birds skip along the near-canopy created overhead by palm trees. 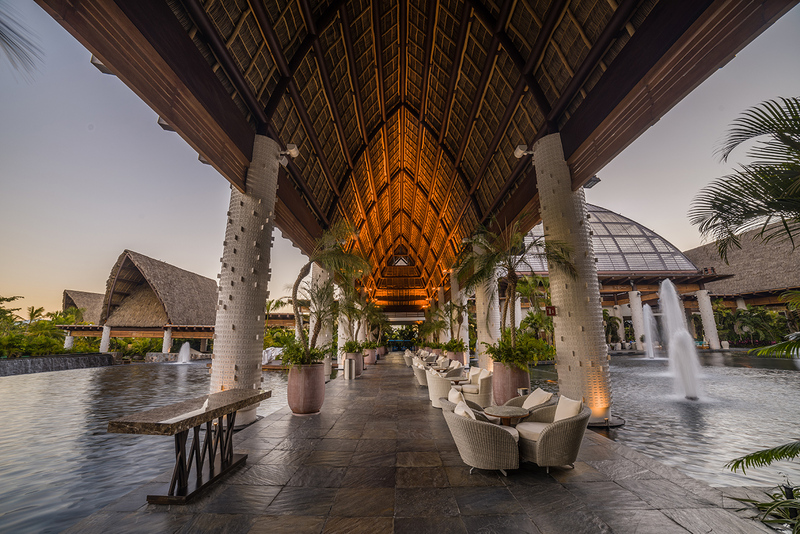 The Grupo Vidanta setup is an at-your-leisure pursuit, allowing for stops at Chiringuito for a bite, golf tips at the Jack Nicklaus Golf Academy, traditional Mexican cooking lessons at Epazote, and colourful entertainment at Satuario bar to be enjoyed whenever. A trek down the boardwalk leads to La Plaza, a multi-level shopping centre stocked with an array of vacation necessities and gifts to bring home. On the ground floor, things get gourmet. Chocolates comingle with patisserie items, charcuterie from the delicatessen, and every variety of tequila one could imagine. 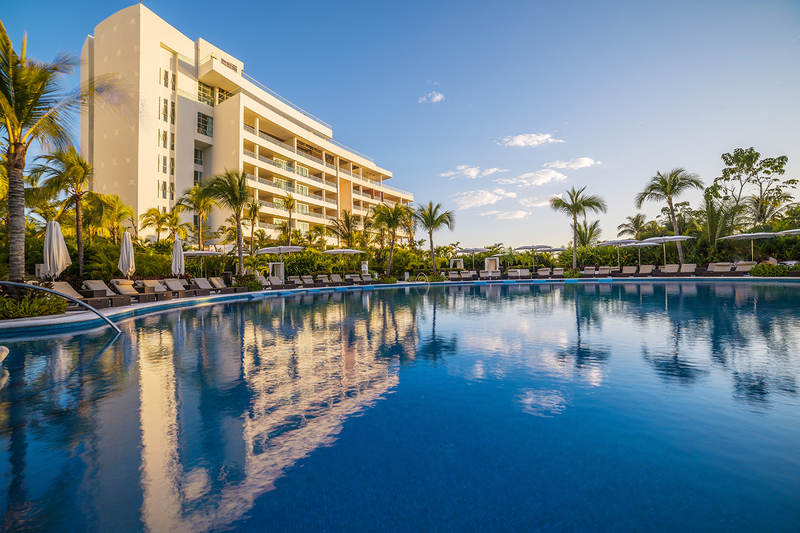 Grand Luxxe memberships offer an all-access pass to the Mexican empire. Grand Luxxe rooms, suites, villas, lofts, and residences range upward of 850 square feet, with the Presidential Villa clocking in at 4,370 square feet. 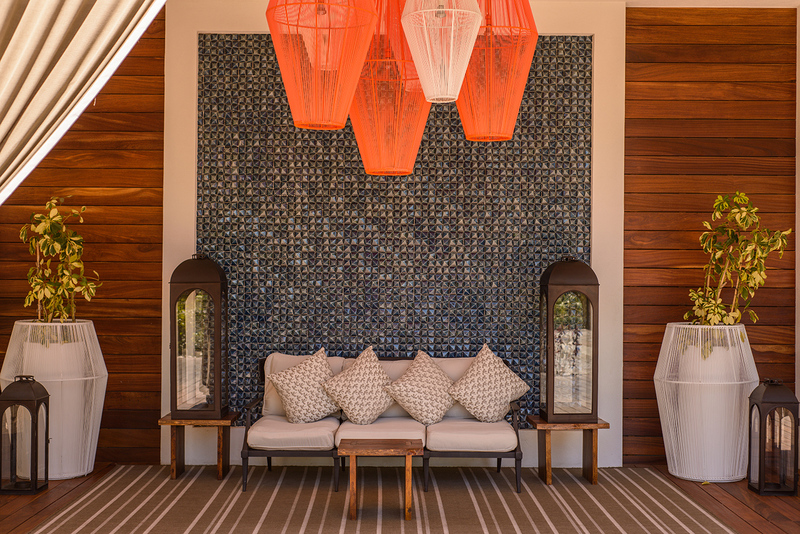 The villa offers 180-degree views, a terrace with two plunge pools, as well as accommodation for up to 10 people. While each membership requires a minimum 10-year commitment, it is unlikely that any visitor would observe the same grounds twice during that time. Of the developed property, there are 18 restaurants and snack stops, six public areas including a turtle sanctuary, and even a travel agency to help arrange off-site adventures. Buying in to one of the six Grande Luxxe towers provides exclusive access to pools and areas off limits to Grand Mayan, Grand Bliss, or Mayan Palace residents, as well as to the secluded Spatium spa where traditional Mexican therapies are adapted and mastered. The New Fire Ritual Four Hands massage brings ancestral tradition to the table with corn oil, incense, and myrrh. In synchronized movements, two therapists sweep their subject into a state of total relaxation. Those booking back-to-back treatments need not rouse—facials and other treatments are performed in the same room for optimum comfort. The Diamond facial is a must, delivering anti-aging therapy with immediately visible results. 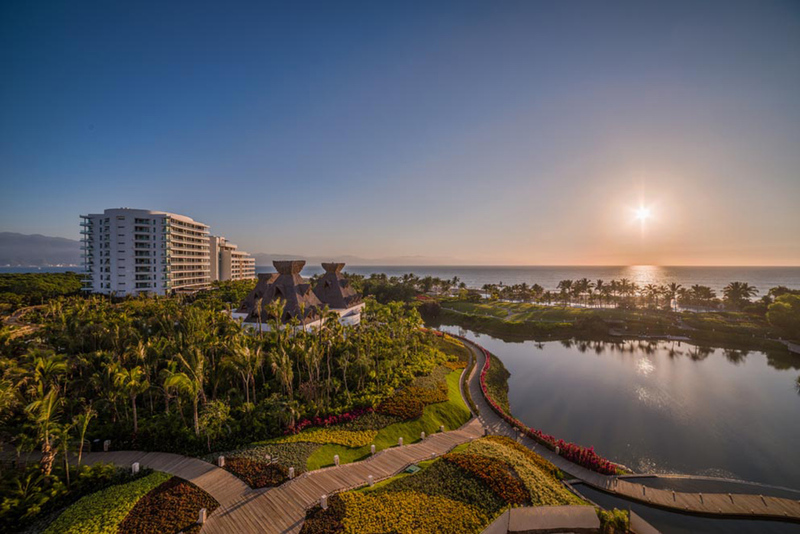 The resort property does everything to cater to the North American crowd, and with this complete vision of a Mexican paradise so readily available, it’s easy to see why people are buying in. Currently the company employs more than 12,000 people and has approximately 200,000 members. A lot of people to impress—and impress they do.